I was eating at La Terra Mia Ristorante Italiano in Paramount, California, when I came to thinking, "Why is Mario Italian?" I decided to do some research and found this article: Miyamoto explains why Mario is Italian. As a child, I didn't give much thought about Mario being Italian. 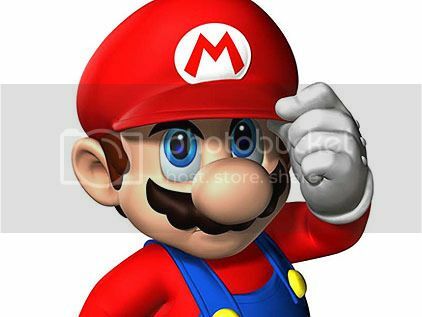 The name Mario, of course, is also used in the Spanish language with precisely the same pronunciation as the Italian. Add the big mustache, and I could have safely assumed that Mario was a Mexican revolutionary from the early 20th Century who lost his sombrero. It wasn't until I saw the following commercial that Mario's Italian heritage stood out to me. The video is a promotion of an old Mario Party game, and in it the police are looking for the endeared plumber. He speaks with the heaviest Italian accent ever, and to this very day, the phrase "It's a me, Mario" still echoes through my mind as Nintendo's most memorable catch-phrase. Given how Japan and Italy had a bit of a close relationship in WWII,to this very day Italy and Japan have a sort of vague kinship that is noticeable sometimes. Whisper of the heart (1995) is a Japanese film that portrays one of the main characters traveling to Italy to fulfill his dreams to be a violin maker, which would eventually lead to him marrying his crush. Whether or not Mario is a nod to that vague relationship between Japan and Italy, one can only guess. I do believe, however, that it was an interesting move. When I think of Italy I think of pizza, but now Nintendo has me thinking of plumbers as well, plumbers that can dive into pipes and emerge in adventurous worlds full of wonderful creatures and moving platforms. I can't image Mario having any other sort of heritage now.